Reclaim Your Privacy. RECLAIM sight and sound dampening panels are designed to minimize distractions in today's open office environment so employees can reclaim the peace and privacy they need without losing the benefits of a collaborative culture. Constructed from post-consumer recycled PET materials, these eco-friendly desktop panels absorb 85% of ambient noise. Available in five colors that complement any office interior, RECLAIM desktop back panels are offered in 48" and 60" lengths and easily attach to most standing desks or standard workstations. 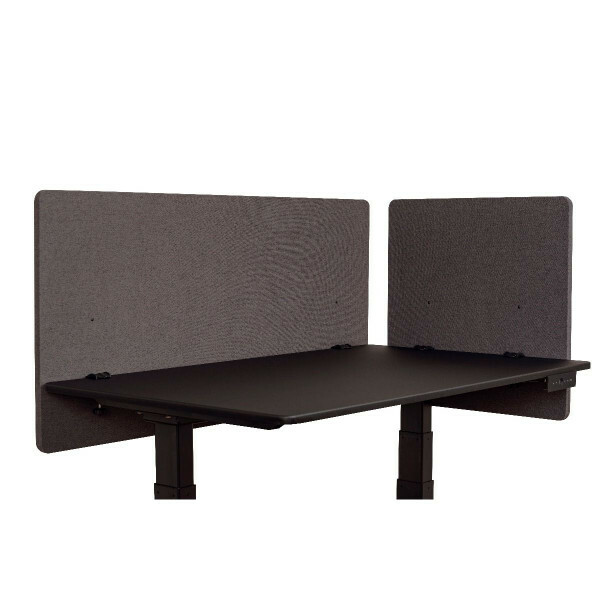 Add the 24" side panels for full privacy or use them with office benching systems to create quiet, individual spaces for concentrated work. Each acoustic desktop panel can be mounted at one of five different heights giving each user the ability to choose their own level of privacy or modesty while the tackable surface allows for workspace personalization. Reclaim the open office with the acoustic solution from Luxor that won't compromise workplace aesthetics or your budget.